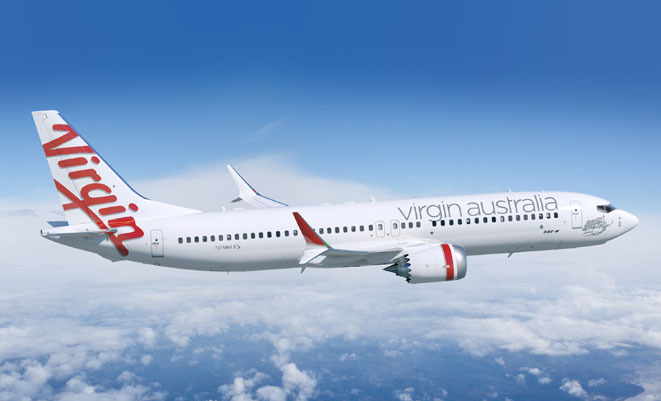 Virgin Australia has announced that it has placed an order for 23 Boeing 737-8 MAXes and four options, with the aircraft to be delivered from 2019 to 2021. Virgin says that it is delaying delivery of some 737-800s until after 2016 and will now take 31 new aircraft between 2013 and 2016. The airline also said that it expects to dispose of all of its 737-700s by the end of 2013. The order is a boost for Boeing, which has been keen to secure orders for the MAX from existing 737 operators, despite some placing orders for the competing A320 neo. Smart strategic move by Virgin Australia by countering the Qantas Group purchase of Airbus A320 NEOs with Boeing 737-8 MAXes. We’ll see which of either the NEO or MAX performs better in fuel burn, but generally they should be close making other factors weigh higher on decision criterion. Maybe not a factor, but to me, the MAX looks better. Very disappointing that the Qantas Group has placed an order for the NEO rather than the MAX. @RH Hastings, as the old saying goes; if it looks good, it flies good (well)..